Cranes buckling or collapsing. Cranes have weight limits to ensure they do not tip over. Cranes also use counterweight and out-rigging systems to counterbalance the weight. If the weight limits are exceeded, the crane can tip over or the boom could collapse. Improper crane assembly. A major reason booms collapse is improper assembly of the crane. In addition, if the crane does not have the proper wood or metal blocking supports to stabilize the load the crane is carrying, the load could move and cause the crane to collapse. Improper employee training. Crane workers must be properly trained in the use of cranes and proper operation of cranes. Employers also need to ensure that workers are warned of crane dangers and maintain a safe distance between the crane operation and work performed by other workers. Mechanical failures. 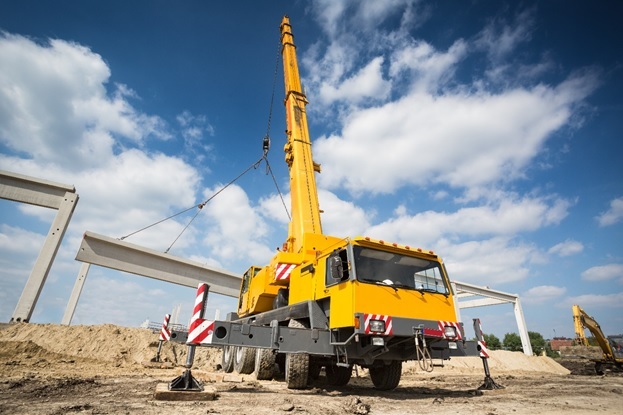 Cranes need to be maintained regularly to prevent accidents caused by mechanical failures. Crane components should be kept oiled, and any problems should be repaired promptly. Contact with electrical lines. Electrocution from overhead power lines is a common cause of accidents. The crane operator and workers in the basket must be aware of where live wires are. In addition, the power to electrical lines should be shut off before work begins near live wires. Inspections. Employers rushing to get a construction project completed may encourage quick, sloppy inspections of their cranes. However, thorough inspections are critical to prevent crane accidents. Inspectors must ensure the crane is really safe before clearing it to be used.